When arriving at Whistler, you may have your skis or snowboard in tow, along with a family of considerable size. What’s there for a full-sized family to do in Whistler while maintaining money in the wallet? Below, you’ll find a number of activities that deliver unlimited fun at considerably low cost. You don’t want to get up-close and personal with a bear, but you’re sure to learn a lot about bears, fauna, and flora of the area. Riding safely in a 4×4 vehicle equipped with knowledgeable staff and tires that can take the winter or summer terrain, those booking bear tours receive an unforgettable family experience. Wine and dining your mate and feeding your kin are not novel experiences, yet doing it at above 6,000 feet is a moment to savor. The Roundhouse Lodge, open on the weekends, is a great destination to fill your stomach with great food and eyes with unforgettable sights. If you’re going to sneak in a bit of learning, the kids shouldn’t mind edification comes with a gondola ride and unique indoor/outdoor geology tour, revealing how the Whistler Mountain region was formed. Tours run from June through September, so call ahead and book a tour that elevates minds, literally and figuratively! Today’s toddlers are not shy to try a new sport, even the extreme sports, growing ever so popular with kids around the world. Downhill biking has gotten popular enough to warrant the Whistler Mountain Bike Park, the number-one rated downhill lift site. Let the family be acquainted with extreme athletes and consider taking a turn at what can possibly become your kid’s future hobby or career. It takes little effort to enjoy the sights the mountain has to offer, but do you have a knack or interest in capturing breathtaking moments for others to enjoy? Your expert guide and instructor will teach you how to take the best nature shots, considering angle, lenses, light exposure, etc. Whether you’re a novice or budding photography pro, the tour provides an experience and taught skill that lasts like a picture. The name speaks for itself. Those bringing a family along to the mountain can rest assured the family will burn energy and calories at the adventure zone. There is a huge slide, mini golf, bungy trampoline, go-cart area, rope zone, and more. The range of activities makes it easy to budget the money left over from booking lodging via WhistlerPremier.com. Who in the family is best at hiking the longest without complaining? Take bets and find out using a number of trails that wind through volcanic landscape, ancient glaciers, alpine lakes, and slopes filled with wildflowers. The hiking, running, and interpretive trails are accessible with your PEAK 2 PEAK Alpine Experience Ticket. 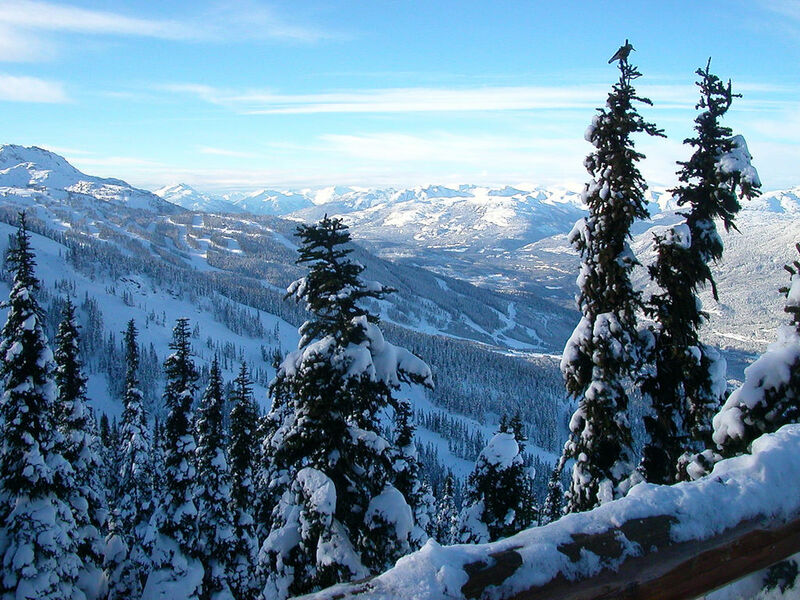 Be blown away without having to blow your wad on a family vacation to Whistler Mountain. Regardless of time of year, the area offers numerous locations of entertainment, dining, and family fun that are affordable for a wide spectrum of budgets. Martha Smith is an outdoorswoman of many years. She loves to share her passion by posting on the web. Her articles appear mainly on travel, sporting and vacation websites and blogs.